Where Is The Awareness, For God’s Sake? 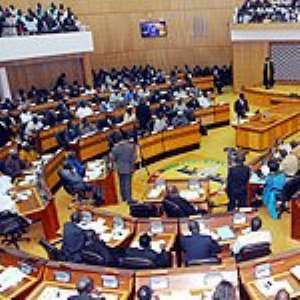 Years ago, when I was a reporter at the Ghana Broadcasting Corporation, I was assigned to Parliament House to cover the debates. It was a most interesting assignment because all the problems of Ghana were discussed in the House and one couldn’t help but learn a lot as one listened to the MPs talk. The most serious –and yet, also the funniest -- periods of parliamentary work often occurred during “Question Time”. An MP would ask a Minister a “written question” But in the “written question”, he would only reveal the “tip of the iceberg”, as it were. For as soon as the main question had been answered by the Minister, the MP would rise to ask a “Supplementary Question”. He would have briefed other MPs on the subject matter so that they could feed pieces of information to the House as additional “supplementary questions” to his own. So “Question Time” was always a “mini-debate” of sorts... Speaker E C Quist or A M Akiwumi always did his best to prevent the questions from getting too long and complicated. But they could perceive see that the MPs were having a good time and they played along, allowing MPs as much latitude as possible. MINISTER: I am always mindful of promises I make to the House. I said that in the event of the international price of cocoa …. SEVERAL MPS (rose): Answer! Answer! MP2: Me too! I have heard it! It’s true! MINISTER: Mr Speaker, the Honourable Members are getting excited about nothing. It’s only a proposal that has been sent to Cabinet, at the instance of the Establishment Secretariat, that due to the rise in the price of petrol ….….! 3rd MP: Mr Speaker, you see? So it’s true! 4th MP: The Cabinet will rubber-stamp it! This sort of thing used to go on a lot, and Ministers learnt from MPs’ Questions that they must keep their ears open about things that went on in the Ministries they headed. Otherwise, they would come to Parliament and hear about things in their own Ministries and departments of which they were not aware. And, of course, they knew that the Prime Minister listened attentively to Question Time, and judged from the performance of Ministers, during that lively period, whether they were fit for their offices, or fumbled so badly under questioning, that they were an embarrassment to his Government. A fumbler would, of course, be on his ear at the next Cabinet reshuffle. How many of our current Ministers and high state officials are truly “aware” of what goes on in the country they are ruling, I wonder? An Officer [name withheld] of the Forestry Commission “is apprehensive [that the] government’s effort to rid forest reserves of illegal miners could be crippled by some powerful persons in society…. [He revealed that] “Some persons arrested for engaging in illegal mining [galamsey] in the country's forest reserves, are back to business, thanks to some people controlling the system. Quite honestly, is this how to engage in combat against a dangerous pestilence like galamsey? If those in the party which has formed the Government that has instituted measures to save our water and forest resources is not united behind the President, how can the evil be uprooted? Does this officer talk to others in the party’s higher ranks? Especially the “interfering higher-ups”? Does he know that such “interference” must be denounced within the policy-making apparatus of his own party? Or “is he NOT aware” that we live in a multi-party democracy and that statements like his are a gift to those who are always looking for something – no matter how trivial – with which to beat the government formed by his own party? Martin Cameron Duodu is a United Kingdom-based Ghanaian novelist, journalist, editor and broadcaster. After publishing a novel, The Gab Boys, in 1967, Duodu went on to a career as a journalist and editorialist. There’s No Need To Swim In Sweat In The Hot African Desert! Aw Shucks! The Ankobra Has Turned "turgid” Again? Is The Ban On The Importation Of Excavators Really Necessary? We Thank You, T B Joshua! Congratulations For The Time Being, Mr President!